There are two times during the school year that are extremely hectic for teachers. Right now, I’m in the middle of the most hectic. The last few weeks are incredibly busy and often full of tension and stress. I find that my workouts suffer, if they happen at all. Lack of quality sleep is the norm. Meals are often skipped. The result of those 3 things lead to a perpetual state of irritability and hunger….hangry. When I recognize the signs, I have a few ways to combat this. Drink more water. This is always a first step when my health begins to suffer due to stress because I know I no longer make an effort to get plenty of it. Adding water back into my day will help with the hunger and we all know water is key for every cell in our body. When I feel “off”, I start adding ice water with lemon to my morning and afternoon. Insist on breakfast. Whether I’m drinking it while commuting to work or sitting down to a “full Irish”, getting back to breakfast will prevent the 3pm bundle of nerves, irritability, and hunger. By eating breakfast, I’m able to get through my busy morning with a clear head and steady glucose levels. Eat more protein. Protein at every meal and snack is crucial to getting more miles out of the fuel. Protein helps keep my glucose from swinging wildly up and down. 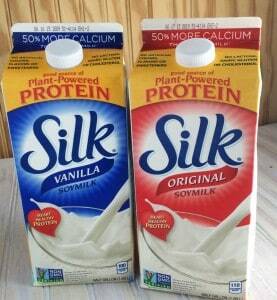 Silk Soymilk is a great source of protein. 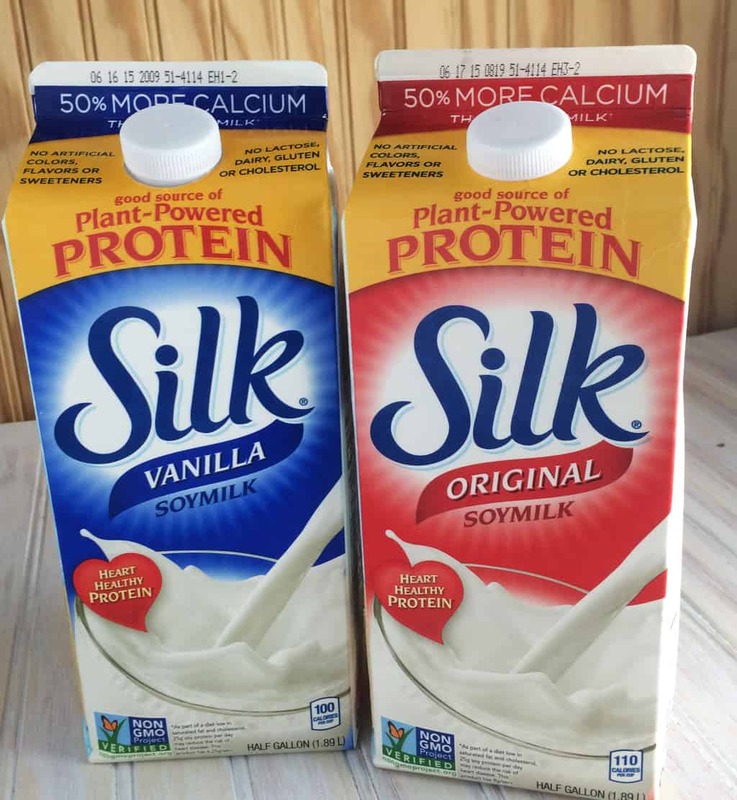 With 8 grams per serving and lactose-free, it is an easy way to add more protein to your day. Not only does it tastes amazing, but it is does not have cholesterol, dairy, or high-fructose corn syrup. You also will not find any artificial colors, flavors or preservatives. My favorite way to use Silk is in smoothies. This Lemon Freeze smoothie is perfect of on these busy mornings when the summer heat is in full swing. 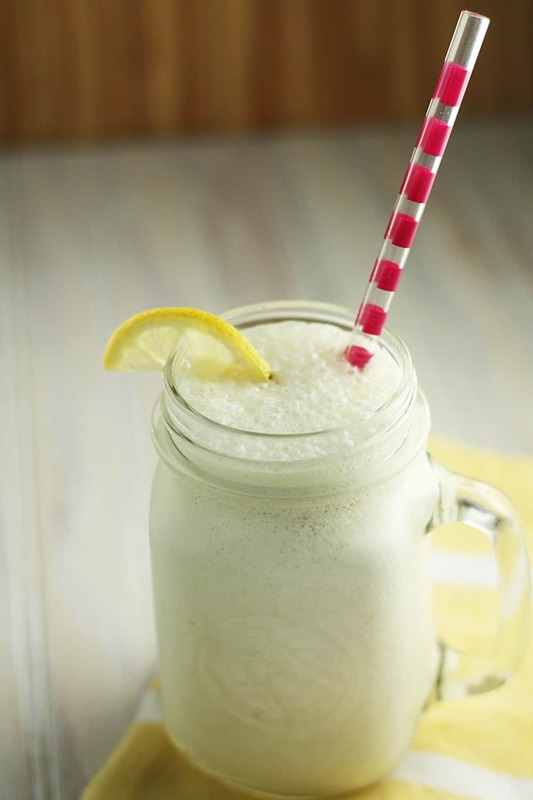 Combine all ingredients in a blender. Blend until desired consistency. For more information and for a coupon, please check out the Silk website. I am obsessed with Silk almond milk. Used to drink their soymilk and it sure tasted good…but soy doesn’t work for me. But their almond milk YAAAAS!